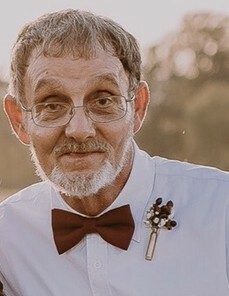 Ricky Joe Rogers, 59, of Colbert, passed away January 25, 2019. A lifelong resident of Oglethorpe County, he was born January 30, 1959 to James Rogers and Betty Green Bates. He worked for Fowler Products for thirty-eight years and was currently employed by McLane. He loved drinking coffee and cutting grass. In addition to his parents, he was preceded in death by his wife, Kathryn Williams Rogers, and two siblings, Barbara Weaver and Pete Bates. He is survived by his daughter, Kimberly (Eddie) Watts of Colbert, one granddaughter, Blake Watts, a sister, Brenda, and several nieces and nephews. Funeral services will be held on Wednesday, January 30, at 2:00 pm at Lord and Stephens, East Chapel. The family will receive friends Tuesday from 5:00 until 8:00 pm at the funeral home. Interment will follow the service at Collier Baptist Church cemetery.